Published on 25 September 2018 in Soccer and Sofia. 0 Comments Tags: Blacksburg, SOCA, soccer, Sofia. The girls fought back and scored a late goal to earn a 1-1 tie at Blacksburg. Photo gallery is below. Just click on an image to start slide show and either swipe or use keyboard arrows to cycle through photos. Published on 27 August 2018 in Soccer, Sofia and Sports. 0 Comments Tags: soccer, Sofia. Roses were for the Moms on Mother’s Day. Courtesy of Coach Dion. One of the goals during the comeback from a 3-0 halftime deficit. Won at Beach FC 6-4. Published on 11 July 2017 in Eliot, pets and video. 0 Comments Tags: Eliot, pets, video. Freedom! This was after several failed attempts and maneuvering the pen walls into a V shape so he can climb up easier. This little pup is a persistent one. 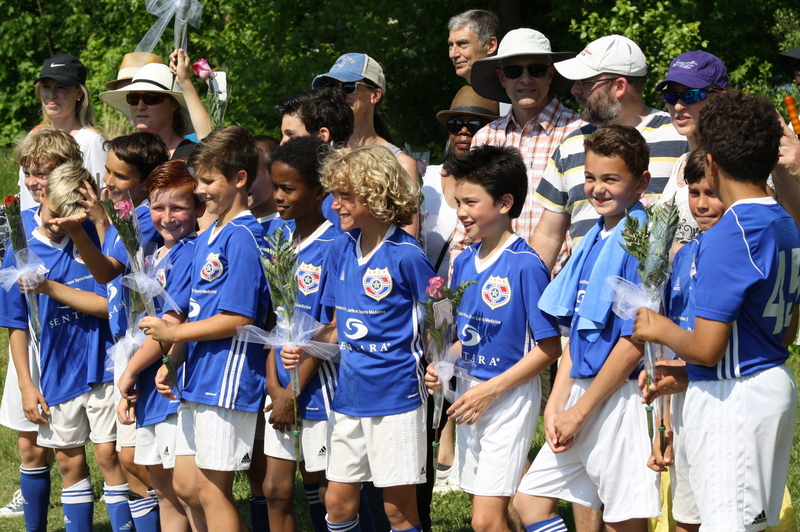 Leo played as a guest on two other teams for tournaments this Spring. 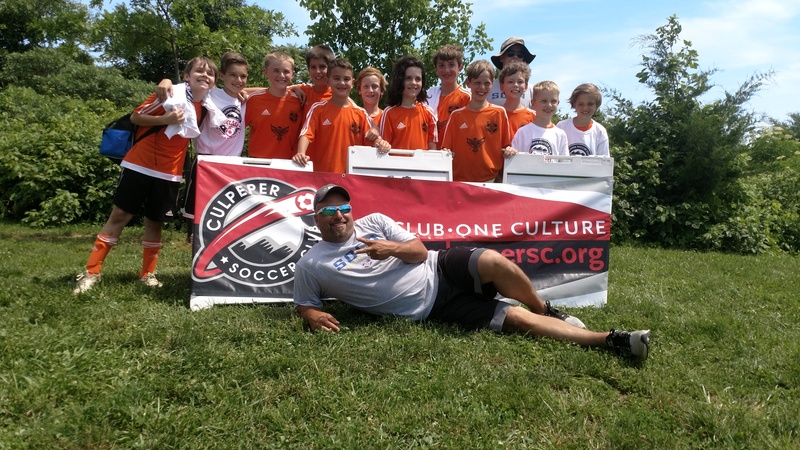 First, the U10 Green Bulls in Richmond and later the U12 Orange team in Culpeper. Both teams did well and Leo made great, new friends. 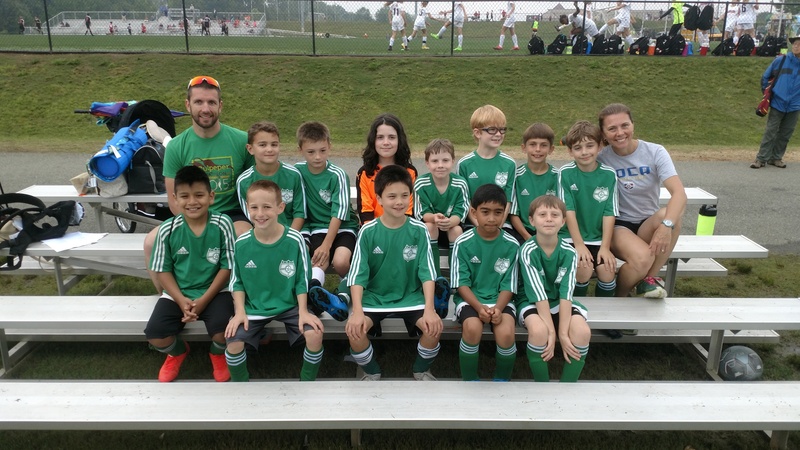 Eleni had the pleasure of playing as a guest on the SOCA U12 Challenge Orange Pride, led by Coaches Mike and Brian. 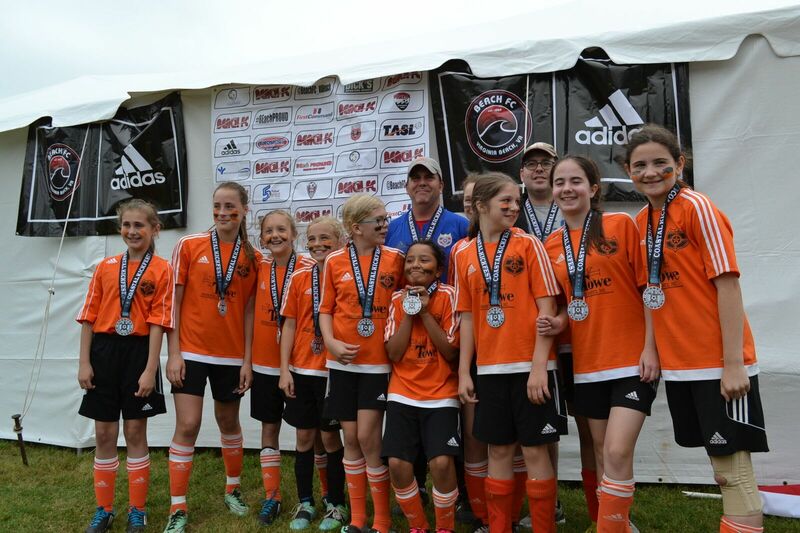 They were runners up in the Virginia Beach Coastal Kickfest in late May. Eleni played in the Greene County Rec League in Spring 2017 and tried out for SOCA U15 Challenge for the Fall 2017-Spring 2018 seasons. She was selected and is very excited to join Coach Mike again (and a few Orange Pride girls) on the Yellow Spirit. Congrats Eleni! Sofia made the SOCA U11 Premier Travel Team! 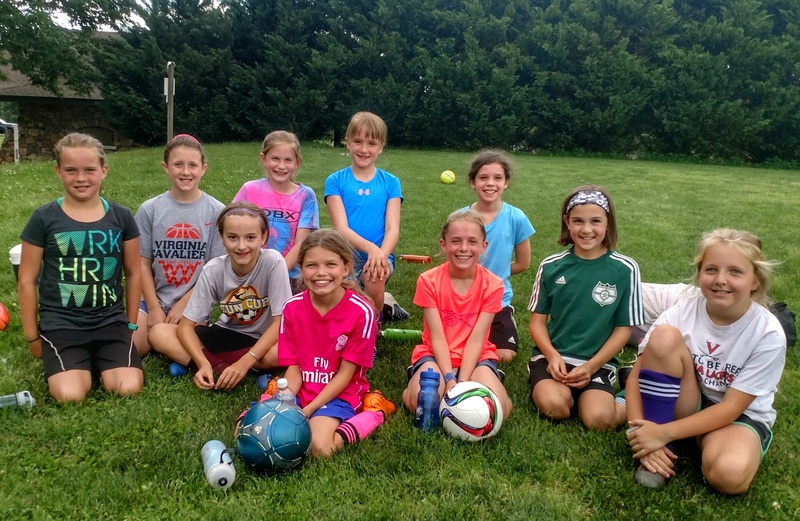 Here she is with most of her new teammates at their first short practice in early June. Practices won’t start in earnest until August.